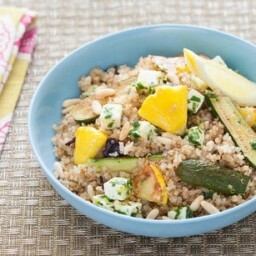 Before long, summer squash will appear in abundance, wherever you look. Friends who garden will begin to bake loaves upon loaves of zucchini bread. Cooks will fry, sear, roast, and grill zucchini, beloved for its sweet but mild texture–even if none of the squash are exactly rare. The classic. A thin, dark green skin cloaks a sweet and soft interior. 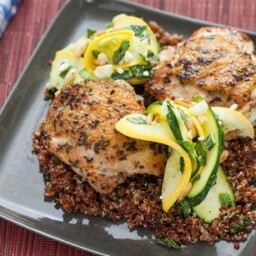 Use your zucchini in any dish that suits your fancy, all summer long–anything from sweet muffins to savory tarts. Look out for tiny baby zucchini, which are especially crisp. Ridged, striped romanesco squash are almost too pretty to eat. The “mountains” of the ridges are light green, while the “valleys” are of a darker hue. To preserve the pattern, cut these veggies into scalloped rounds. Inside their bright exteriors with wave-like edges, pattypan squash are denser and crunchier than other varieties, making them excellent in salads or quick sautés. Like autumnal gourds, adorable pattypan squash double as decoration, so fill up a bowl and use as your centerpiece. Sauté or fry the zucchini blossoms and serve with pasta or with eggs. The flowers of the plant, they usually appear early in the summer and are sought after for their full squash flavor and delicate texture. Large, globe-shaped squash that look much as you’d imagine them to appear – like 8 balls! If you cut a thin slice off the bottom to stabilize the squash, then hollow them out, you’ll find they’re great for stuffing and serving at dinner parties. Like zucchini, crooknecks are delicious raw. 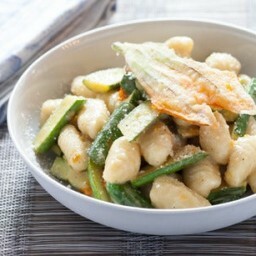 Try them in a salad of thinly sliced veggies like this one or cut into large pieces, coated with Parmesan, and roasted.